Reach and communicate to more people instantly! Allowing you to harvest complete benefits of Bulk SMS in Nepal, Sparrow SMS allows you to send SMS in mass & create SMS campaigns in few clicks. Bulk SMS in Nepal enables you to connect and interact with your customers instantly. Promoting your business has not been so easy yet; you can now easily reach your targeted customers using Bulk SMS in Nepal. 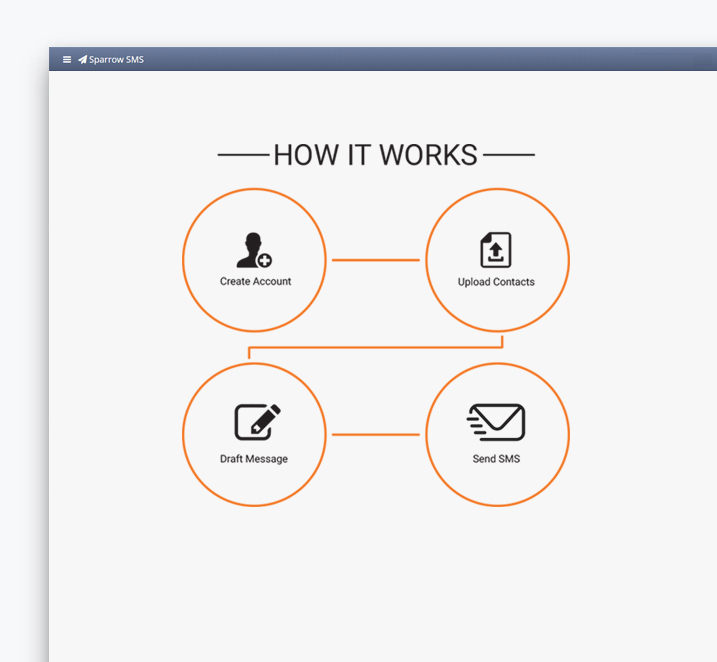 Our web-based SMS application is used for both sending and receiving mass SMS which supports delivery to all the major operators like NT (Nepal Telecom), Ncell, and Smart Tel. Subscribing to one of the leading Bulk SMS Service Provider in Nepal will allow you to extend your business through focused deals and showcasing endeavors. We are one of the most trusted and reliable Bulk SMS Company in Nepal, offering quality based services to reach target audiences in a less period of time. Our contact manager lets you import contacts from an Excel file and then organizes them into groups.Customize all your contact lists under our panel. Detailed status information about messages being delivered so you can measure quality of delivery & performance. Reach and engage with your customers! Sparrow SMS is the right choice for you and your business. We provide Bulk SMS/Web SMS service, SMS gateway, SMS API or any other SMS marketing services. We also offer various SMS services for individuals which range from exam results to various utilities.